CDLD organized a one-day Provincial Orientation Workshop on its revised design in the extended project period on Monday, 28 August 2017 at Peshawar. The orientation brought together about 60-70 participants including key government officials and elected representatives from the selected districts and representatives of organizations with complementary programmes. Mr. Said Rehman, Policy Coordinator CDLD, presented the summary of CDLD results and impact of pilot phase. He said that more than 23,000 first applications were received, about 4,000 community-based organizations were engaged, and, the programme had over 3 million beneficiaries. Ms. Rashida Dohad appreciated the CDLD design that brings together the expertise and experience of government and non-government organizations. 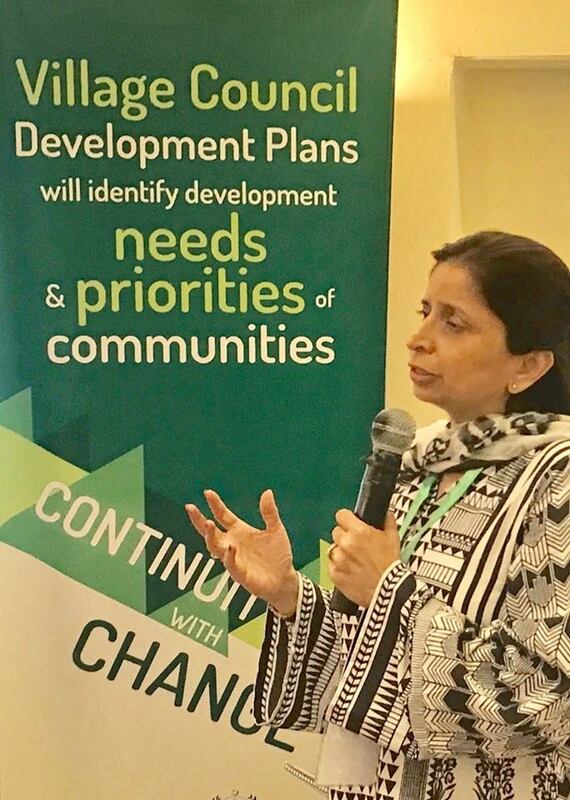 She suggested including equity as a key criteria for selecting projects under CDLD. Mr. Rehman appreciated the suggestion and explained that the inclusion of livelihood projects was a way of trying to reduce poverty.